I still had a piece of sycamore and some sapele that I can get the few small parts out of. I’ve set up my joinery bench on the regular bench, got out the rasps, and gotten to work. The spoke shaves, rasps (heavy and medium) and files (light) allow for a quick enough shaping, and once I’m near where I want to be I switch over to sandpaper (only 220 is really needed, 100 is used when I can’t get at a shape with the files). I will be putting on at least one coat of finish, but I’m not sure it really even needs that – it’s a tool. The handles do get finished to keep stuff from my hands from staining the handles, but other than that I do want a bit of surface for my hands to feel and work with. 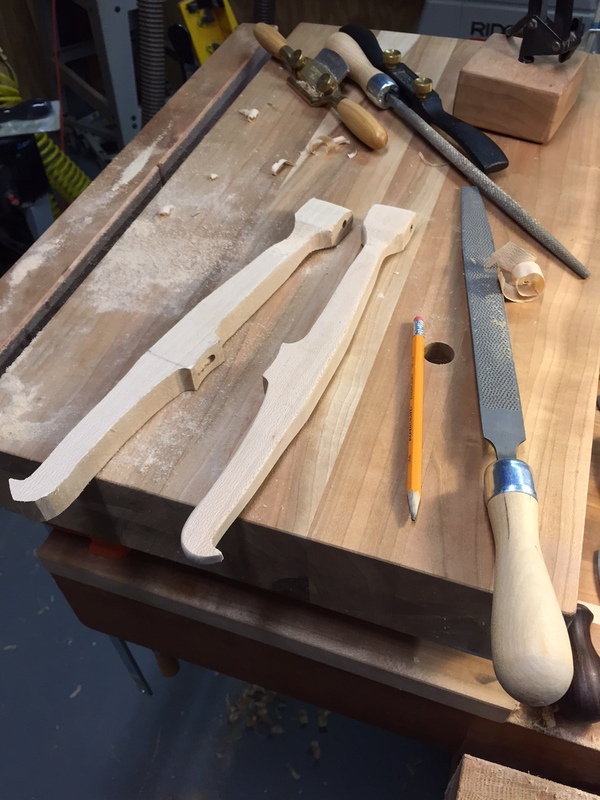 When I cut the first tenons on the cross bar (in my first saw) I made them a full 1/2″ and made sure they fit well. Then watched an episode from Renaissance woodworker and found that yep, the socket tight fit is wrong! it needs to pivot, or tightening the string has no effect on the blade. I didn’t ever tighten the blade to break the string, but did use Shannon’s message to loosen the tenon at the ends (not the sides) so it would pivot – and wha-la! it’s been working great. 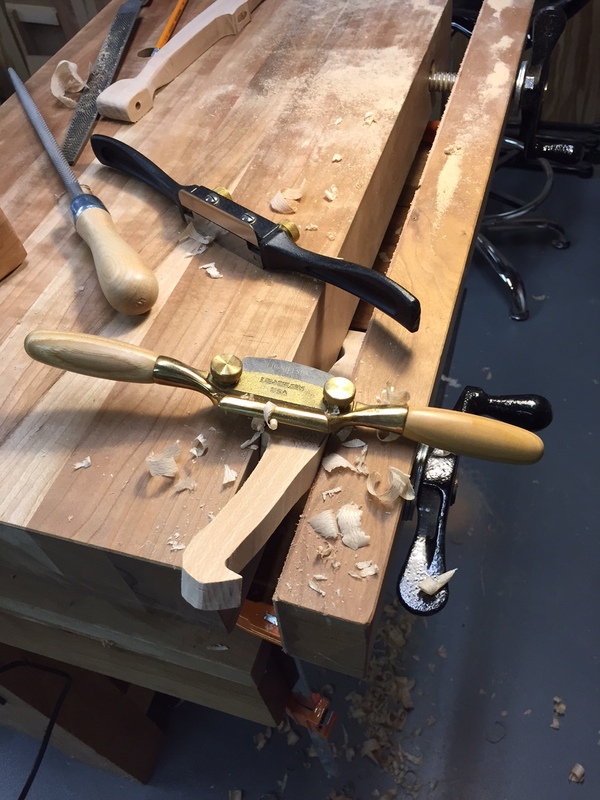 This time, I used the saw to do end grain cuts, then used a chisel to chop off the little pIeces. 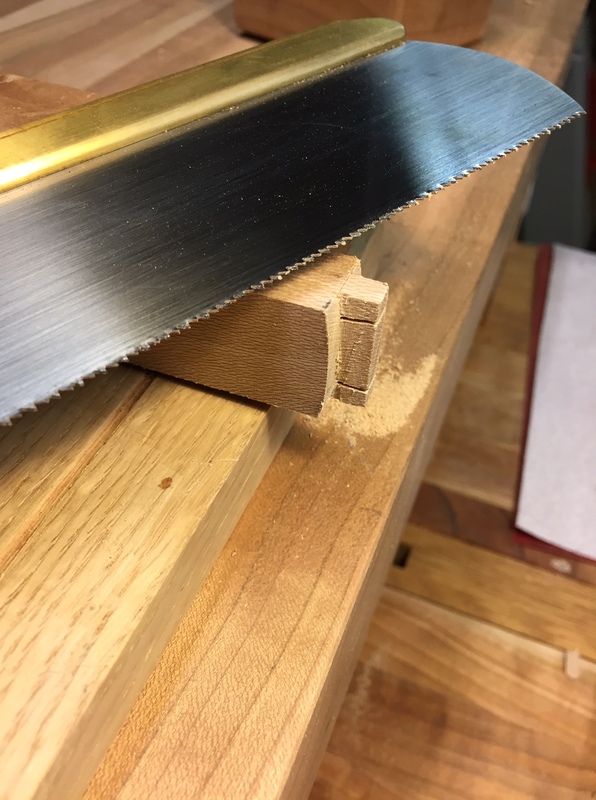 The issue I hit was that the end grain broke out on the cross bar, and while likely not a working problem, I figured to go back and do it again – it’s a small piece of wood. The 2nd run was the end grain cuts, then I used the saw to trim the sides down and THEN did the final cleanup with the chisels. Much better results – so I repeated this on the next frame as well. Finally, I did make sure all the “joints” were cleaned up with rasp/file to make sure the wood level merged. Then I used some Waterlox I had opened for another project, and will bring that up to at least 3 coats, with 400g sanding between coats. 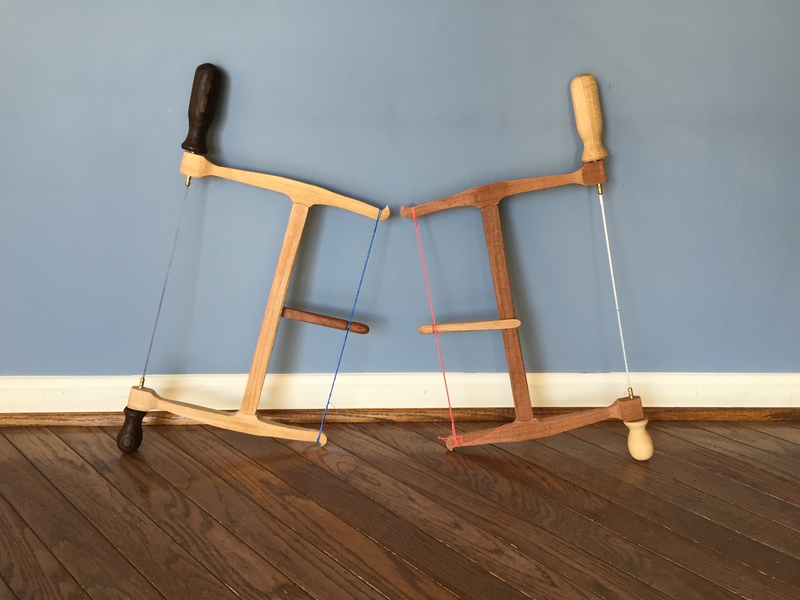 While building I did some trial cuts with the saws and found that I really did need to have it tight – even more so than before, but was able because I used a very small stub on the middle beam – that allowed the twisting string to do a much better job!